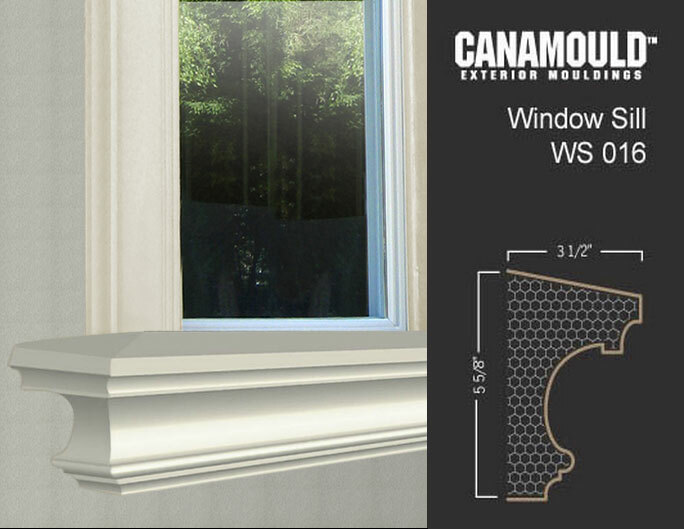 Canamould Exterior Window Sills are ideal for industrial, commercial and residential applications. 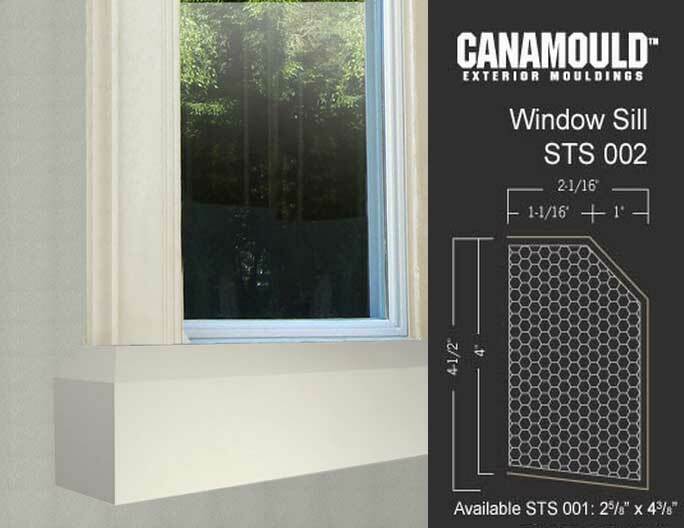 Available in lengths to suit a variety of window frames and widths for standard wall thicknesses. We offer the widest collection of exterior window sills. 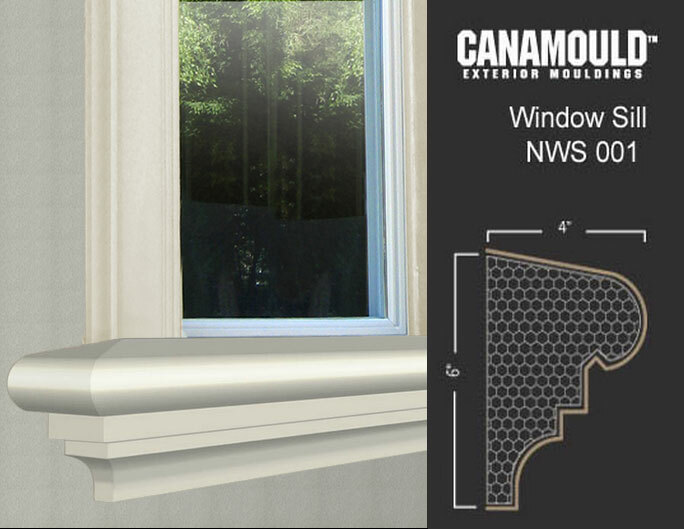 We can help you find the perfect window sill that will personalize your home’s design. 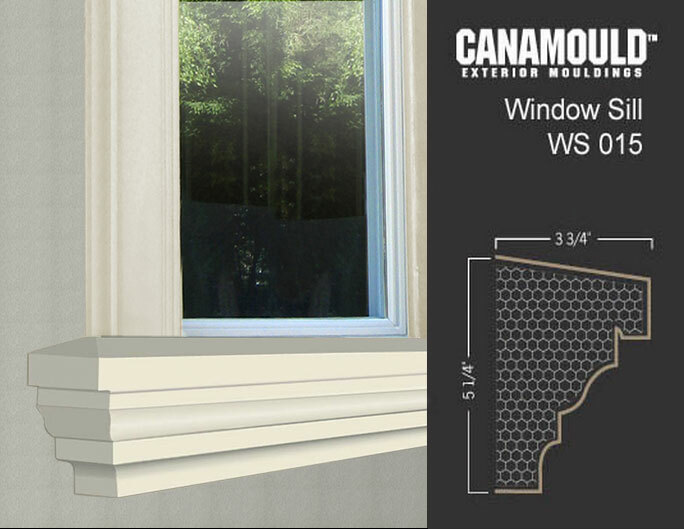 Exterior window sills are a key accent to any décor of your home improvement project. The elegant window sill will draw attention to your home and give your home a sense that it is unique and exclusive. Whether you’re restoring an old home or designing your new dream castle, our new collection of window sills and other exterior moulding products will help you achieve the look you want. Canamould is the leading manufacturer of stylish exterior window sills. We also design and manufacture a wide range of architectural accents, such as columns, mouldings, cornices, and more. 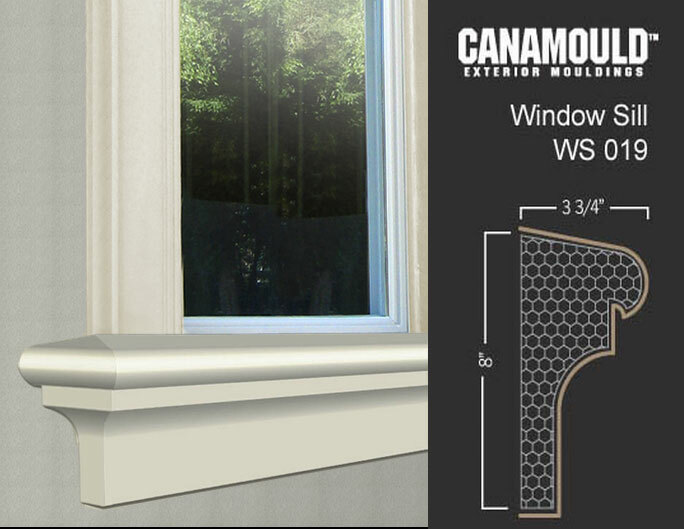 We offers the highest quality exterior window sills, window trim products and much more at the most cost effective price on the market. Click on a profile to view additional details.